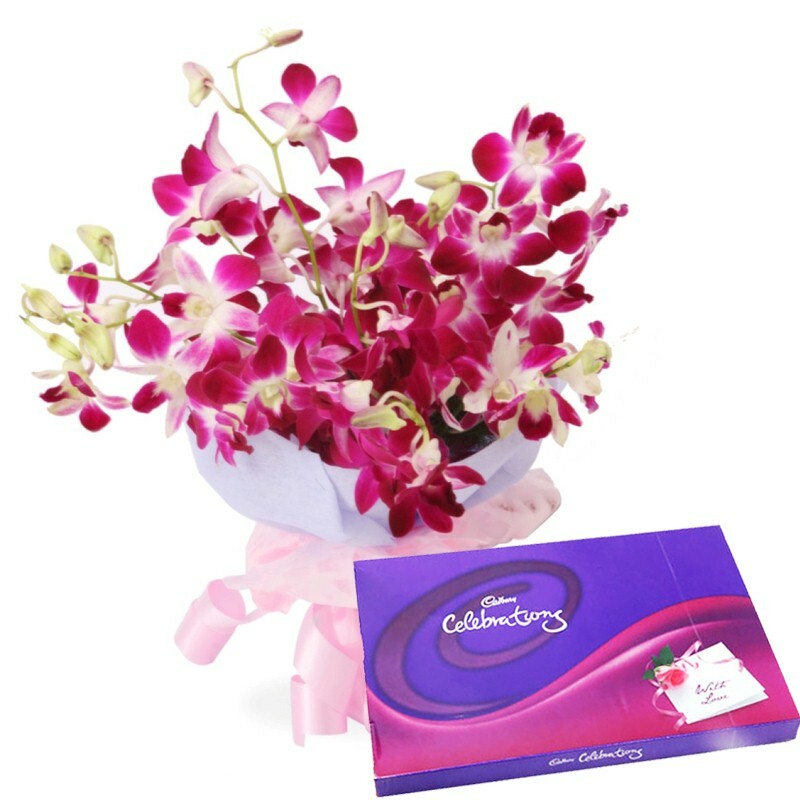 Product Consists : Bunch of 6 Purple Orchids along with Box of Cadbury Celebration chocolate (Weight : 125 Gms). We have a perfect gift for you to send love to anyone close to your heart. This is not red roses but a Purple orchid that is good to create undying memories of any girl because Purple is favorite color of any girl. This hamper also includes Cadbury celebration packs which contains all tasty chocolates like Dairy milk, Gems, 5 star and many more. Get the beautifully packed bunch easily delivered to the doorsteps of your love one with just one click. He or she will be completely amazed to receive such a lovely gesture. It is best to be gifted on occasion like Valentines Day, Anniversary, etc. 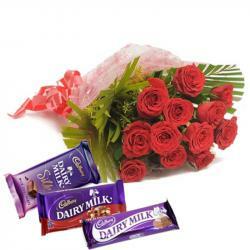 Product Includes: Bunch of 6 Purple Orchids along with Box of Cadbury Celebration chocolate (Weight: 125 Gms).